Have you ever wondered if you could benefit from credit counseling? Carrying high levels of credit card debt leads many people to get help from a counselor. Here are some of the reasons you may need help. It can be difficult to dig out of a debt hole. When you carry a balance on a credit card, more interest gets tacked on each month. 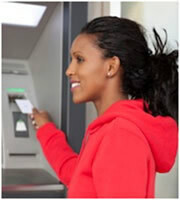 Being late with payments can add on late fees, causing your balance to swell instead of decline. Ask yourself if your credit card balance keeps ballooning each month because you are repeatedly late with payments. A credit counselor can help you better organize your bills to make payments on time. Do you have money left over at the end of the month after paying all the bills? If not, you either need to earn more income or set up a budget to make better spending decisions with the money you have. Knowledgeable credit counselors are able to discuss your current spending habits and show areas where you may need to cut back. Constantly shifting debt around with balance transfer credit cards can be a sign of a serious problem. You may have good intentions for paying off debt when using these credit card offers. But it can be tempting to keep making the minimum payments, which won't help pay off credit card debt any quicker. If you choose to use balance transfer credit cards, you need to be able to escalate the payments to make any headway on the balances before the interest rate rises. Making purchases with plastic can certainly be convenient when you don't have cash on hand. But when you find yourself purchasing everyday items like groceries, medications, and toiletries with credit cards and can't pay off the bill, that's a problem. As stated earlier, it's important to determine if your credit card issues are related to a lack of income or poor money management. Finally, if most of your credit cards are maxed out and you've had the humiliating experiencing of having a salesperson tell you your card has been declined, get help. Credit counselors can help you work through some of the emotional issues and stresses that may be contributing to your mound of credit card debt. 0 Responses to "Why You May Need Credit Counseling"